We’ve all heard the term “Traffic Offense.” Usually, it’s used to denote a legal problem of relatively minor significance. Sometimes the term “Traffic Offense” is improperly used as a synonym for “Traffic Ticket.” While all Traffic Tickets, are, by their very nature, Traffic Offenses, not all Traffic Offenses are merely simple Traffic Tickets. Traffic Offenses can be divided into 2 categories: Civil Infractions and Misdemeanors. Civil Infractions are Offenses which DO NOT carry any possible Jail term. Most, but not all, Civil Infractions carry Points, which are applied to a Driver’s Record, plus fines. Think Speeding Ticket. Traffic Misdemeanors, on the other hand, DO carry a potential Jail Sentence. In addition, many, although not all, Misdemeanor Traffic Offenses carry Points, as well as fines and Court costs. Think DUI and Suspended License charges. In my Criminal Practice, the general lack of clarity regarding a “Traffic Offense” comes up in many different ways. Let’s look at a few examples. Here’s where it gets tricky: Traffic Misdemeanors can NEVER be removed from a person’s Criminal Record. While even a Delivery of Heroin Felony conviction can be set aside, by law, no Traffic Misdemeanor can ever “come off” a person’s Record. 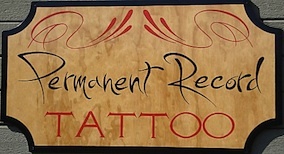 Traffic Misdemeanor are worse than bad tattoos; at least a tattoo can be removed, even though the process is painful. If a person contacts me about an “Expungement” (technically called a Set-Aside of Conviction), and I ask if they have any other Criminal Convictions, besides the one they want “expunged,” I’m often answered with a “nope. That’s the only thing I have.” After a few more questions, however, I learn that the person cannot qualify to have a matter removed from their record because they actually DO have another prior Criminal Conviction. It’s that pesky “Traffic Offense” Misdemeanor (such as a DUI or Suspended License case) that they didn’t realize stays on their Record forever. Civil Infractions have their own way of “coming off” a person’s Driving Record. First, remember that Civil Infractions are NOT Criminal offenses, so they’re only reported on a person’s Driving Record. After 2 years, the State drops the Points associated with any Civil Infraction. And a Driving Record, at least as far as Civil Infractions are concerned, only goes back 10 years. This means that a person who gets a Speeding Ticket for 20 MPH over the limit will have the Points count on their Driving Record for 2 years (Insurance Companies count them for 3 years; that’s another story) and the violation will show up for 10 years. 11 years after that Ticket, even if a Police Officer runs the person’s Driving Record as part of a Traffic Stop, the old 20-Over Ticket will not show up. If there’s a moral to this story, I suppose it’s twofold: First, know the difference between Civil Infraction and Misdemeanor Driving Offenses, and Second, know that a Misdemeanor Traffic Conviction stays on your Criminal Record, like a bad tattoo, forever, and can never be removed.